Joining Business Acquisitions, Ltd. in 2012 as a Mergers and Acquisitions Specialist, Erik brought over 27 years of experience in sales and building business ventures across the pharmaceutical, technology and agro-ecology industries to the firm. Erik has been a founder and leader of three startup ventures that spanned a range of products and services. Erik’s extensive experience and success as an entrepreneur brings a unique lens to transitions of business ownership. Prior to Business Acquisitions, Ltd., Erik served as Chairman, Board of Advisors for Waste Farmers where he provided leadership to the management team focusing on fundraising, marketing and sales for the company. Erik was Co-founder of Data393 (now called ZAYO Communications). Data393 was a 5,000 square foot data center when it opened in 2003 and grew to an 18,000 square foot facility generating over $14 million in annual revenues and recognized as a leader in the space when sold in December of 2007. Before Data393, Erik founded Colorado Computer Rental (CCR). CCR provided IT technology for short or long-term use in training, conventions, trade shows, and technology-intensive projects. Erik began his career with Marion Laboratories in Southern New Jersey as a pharmaceutical sales representative. It is through this experience that he gained expertise in sales, relationship management, and the discipline to build a territory through hard work and realization of his entrepreneurial spirit. Erik has a BA in Marketing from the University of Wisconsin-Whitewater. While at Whitewater, Erik was the President of the largest collegiate chapter of the American Marketing Association and was a goalie on the soccer team. He is licensed with the Colorado Real Estate Commission and a member of the Colorado Associate of Business Intermediaries (CABI). In his free time, Erik enjoys golfing, snowshoeing and working out. 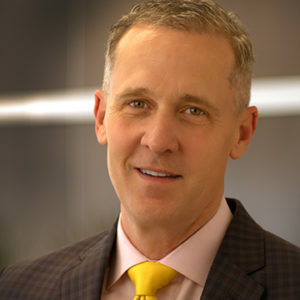 He is a graduate of Leadership Denver, 50 for Colorado, and a member of Rotary International.